Need promotional models, promo girls, grid girls or event staff in Liverpool? 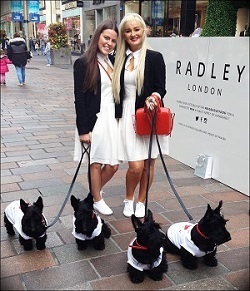 Pitlane Promotional Staffing Agency can supply exactly the right staff to meet your promotion needs – whether that is for exhibitions, retail promotions, product demonstrations, road shows and tours, exhibitions or trade show hospitality. All of our staff are professional promotion people and all will add value to your event. We have ample staff located close to Liverpool’s Echo Arena and people at Liverpool One are just a couple of areas we cover in Liverpool. 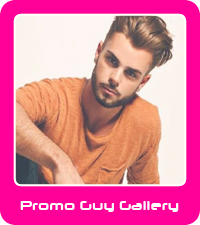 Our promotional girls and promotional boys will represent and promote your brand and ensure it is promoted in a positive and memorable manner. So if you have a VIP hospitality area, or need footfall driving to an exhibition stand or leafleting at a trade show, we have lots of local people who will do exactly this. We have a dedicated team who will look after you and find out exactly what staff you need for your event. We have provided promotional staff at Aintree for a number of different purposes. Staff to hand out scratch cards and hostesses to look after VIPS. We provide conference staff so you your conference delegates will experience a truly first-class service. Aintree an ideal venue for any large conference or event in Liverpool or the North West. Aintree boasts some fantastic historical areas that can really give your event a unique edge. The Echo Arena stands at the heart of the development of Kings Waterfront, an iconic cultural legacy of Liverpool’s year as European Capital of Culture in 2008. The award-winning facilities sit alongside the Grade I listed Albert Dock complex and World Heritage Site on the eastern bank of the river Mersey, in the heart of Liverpool city centre. If you are having an event at the Echo we have local event staff that can work for you to ensure you get the best possible results from your event. Making sure you have the right exhibition staff is the key to a successful event. You are only there for a very short amount of time so it is important you maximise EVERY opportunity. Our exhibition staff will do just that. If you need someone to get quality leads for you, or to collect data our just be be a friendly face to greet guests and potential new clients our promotional personnel will do just that. If you need multiple staff or just one or two, we don’t mind. Pitlane are always happy to oblige and service your needs. Let us help make your event a stress free success.